If you are looking OpenCart free theme then the article will help you. 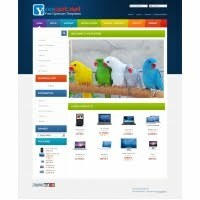 YooCart offers free 6 themes for OpenCart user. YooCart free themes are appropriate for OpenCart 1.4.9.X version. 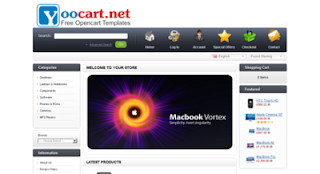 But now OpenCart 1.5.4 version is available, so if you have Opencart 1.5.4 version then the free themes will not support properly as you no needed download the themes. 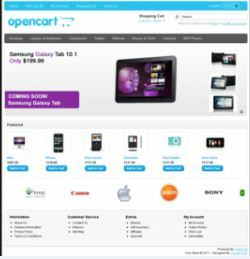 On the other hand if you if you have OpenCart 1.4.9.X version, you may download the following theme and install in your server. 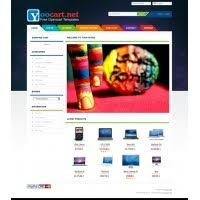 Basically the YooCart created themes are easy to use, SEO friendly and more. To install theme, firstly download the Zip archive file and extract it, after extract, upload the file under catalog and image folder in home/public_html. If uploaded properly, login your website admin area and edit the setting under System. 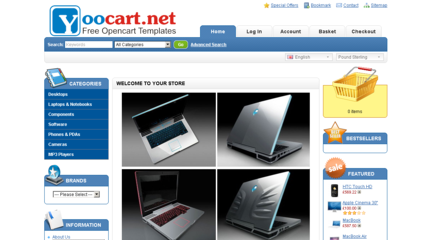 Finally select template from dropdown menu under Store tab. Click the Resource suggested link to download and view as demo.